Clarke’s Discount specializes in comprehensive vehicle maintenance on most Asian and Domestic vehicles in Aloha, Beaverton, Hillsboro, Vancouver, and the surrounding area. 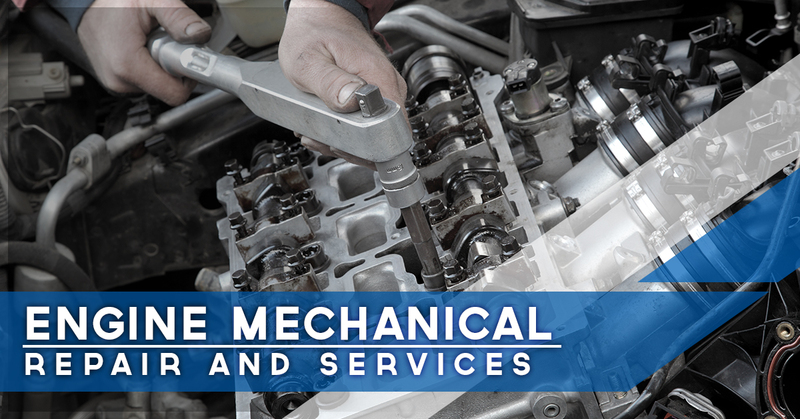 We aim to be your one-stop engine repair shop, with trained technicians at the ready to assist you with your auto maintenance and repair needs. The engine is the heartbeat of your car, and ensuring everything is running properly can dramatically improve your vehicle’s performance and lifespan. Whether you’re experiencing total engine failure or just have a minor leak or other issue, we will inspect and repair your engine to restore your vehicle to optimal condition. Engine Replacement For Gas Engines: In some cases, such as total engine failure, replacing your car’s engine might be the only option. In other cases, it might be a more viable option to buying a new car. Clarke’s can help you replace your car’s gas engine to extend or revive your car’s service life. Timing Chain And Timing Belt Service: Whether your vehicle has a timing chain or a timing belt, we want to make sure it’s running smoothly. It’s recommended that you change your timing chain or belt at regular intervals, anywhere between 60,000 and 100,000 miles. If you’re experiencing a loss of power, loss of fuel economy, misfiring, or engine vibration, you may be overdue. Valve Work, Valve Grinding, and Cylinder Head Repairs: A car’s valves are crucial for regulating the flow and pressure of certain fluids necessary to keep it running smoothly. We can repair and replace your cylinder heads to prevent valve grinding and ensure all your valves are working properly. Engine Oil Leaks: Oil leaks are not only bad for the health of your engine, but can also be a hazard to you and cause your vehicle to break down without warning. Leaks can be associated with many different problems, from degraded engine gaskets to oil pan leaks to poor connections with your valves. Clarke’s Discount will find, diagnose, clean and recommend repairs for your engine oil leaks. Internal Gaskets: The purpose of your car’s internal gaskets, such as a head gasket, is to seal the cylinders and ensure maximum compression of the engine to avoid leakage of fluids, such as coolant or oil. If you are experiencing a leak or even a blown gasket, it may be time for a replacement. Clarke’s Discount is the right choice for any and all engine repairs on domestic and Asian vehicles in the Aloha area. We offer friendly, efficient, and high quality services all at a low cost to you. Even better, we will warranty all applicable maintenance on your vehicle for 12 months or 12,000 miles, whichever comes first. If you’re experiencing problematic engine troubles that are hampering your car’s performance, then call Clarke’s Discount. We can get you back on the road with a happy, healthy engine.